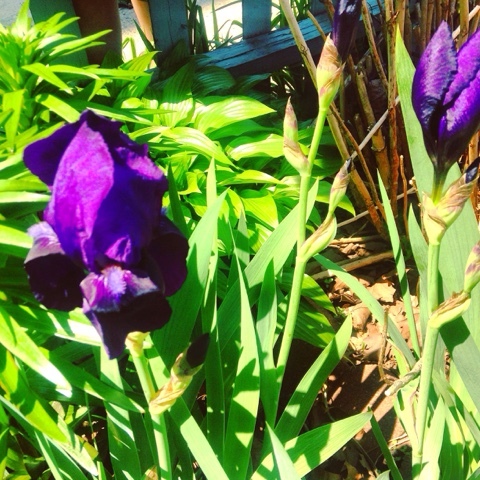 My irises are blossoming and there's so many! These are my absolute FAVORITE. There are the first two blooms but there will be a bunch. I planted them the year before, along with some others that were already there, and so last year only had a couple. (Plus all that fricken snow.) This year is set to be quite impressive. I'll have to get the weeding done soon so they can shine like the stars they are!